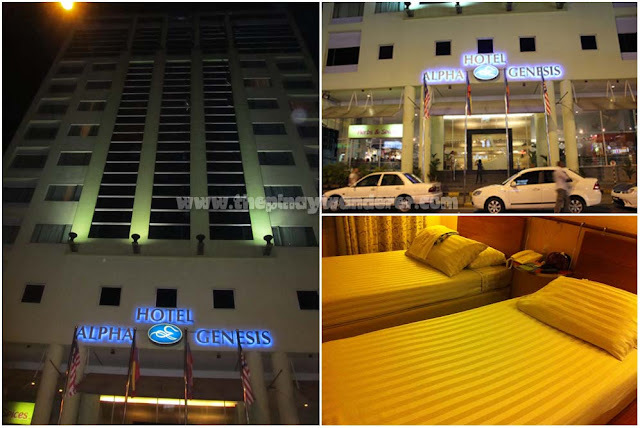 For our 3-days/2-nights adventure in Malaysia, we stayed at Hotel Alpha Genesis, a business boutique hotel located at No. 45, Tengkat Tong Shin, Bukit Bintang, Kuala Lumpur. The hotel is just a few minutes walk (15-20 minutes, they say) to the two famous attractions in Kuala Lumpur; the tallest twin towers and the sixth tallest telecommunications tower of the world - the Petronas Twin Towers and the KL Tower, respectively. 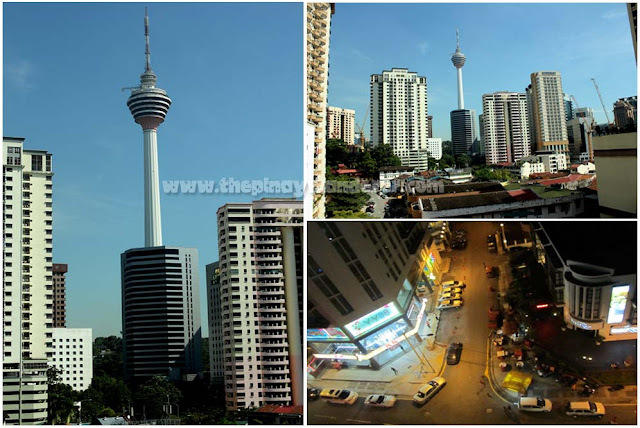 Also, the hotel is just 10-minutes walk to the KL Monorail - Bukit Bintang Station. It is also just 2-blocks away from the famous Jalan Alor where we had our first dining experience in KL. Also near the hotel is a 24-hour convenience store (just in front of the hotel) and several bars and restaurants. Our accommodation also includes buffet breakfast from the hotel's restaurant, Cafe & Bistro, located at the ground floor. 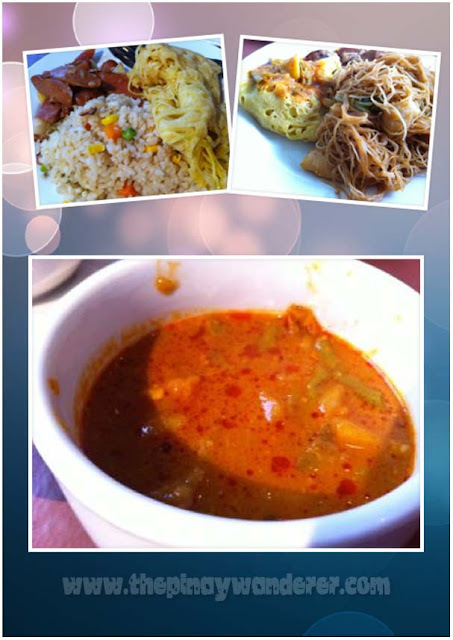 From the Bistro, we tasted Malaysia's roti canai, an Indian-influenced bread served with a super spicy vegetable curry. The Bistro's roti canai does not taste and look like bread though, it tasted more like a pancake (but it doesn't look like a pancake too, haha...I don't know how to describe it, just check the photo below), with a super hot syrup, sauce rather...hehe! Note: I don't know exactly how much is the rate of our room as we bought a package tour which include air fare, hotel accommodation and city tour; but recent inquiry from Agoda showed the hotel (promo) rates from US$44 - US$55 per night, superior twin bedroom, breakfast included. panay na panay ang gala kabayan ah..
gusto ko lang ang fried rice sis..nagutom tuloy ako...It looks you had a great time in KL. Read some negative reviews about the hotel pero except for the food, ok naman yun hotel esp. kung promo price yun makukuha mo, mura na sya I guess. Sarap puntahan mga lugar na ito, wala sanang prob kasi may mga kilala dun kaso budget at time ang prob hehehe. Kung meron ka makuha promo fare, try mo KL, except for plane fare and accommodation na naka-package nga, PhP4000 more or less gastos ko sa pagikot-ikot sa KL, foods, fares, entrance fees and souvenirs na yun. I-post ko IT & expenses later para may idea ka. Weird nun roti canai - so bread yun, na mukhang pasta para saken, pero lasang pancake sayo? tas spicy yun sauce? ang gulo man! haha.. pero yun fried rice, nakakagutom nga! feel ko yun hotel.. 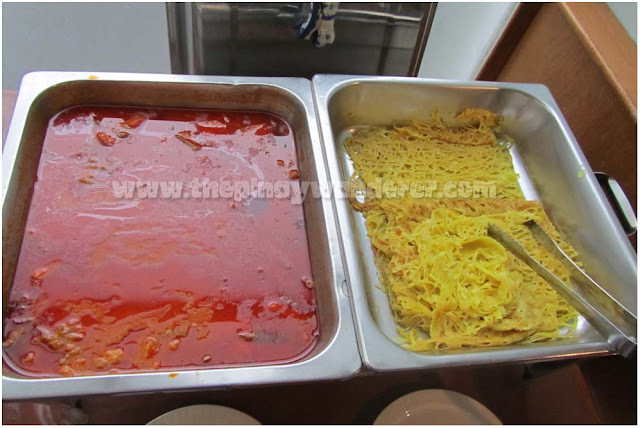 The buffet looks mouth watering though Malaysia cuisine is really spicy. 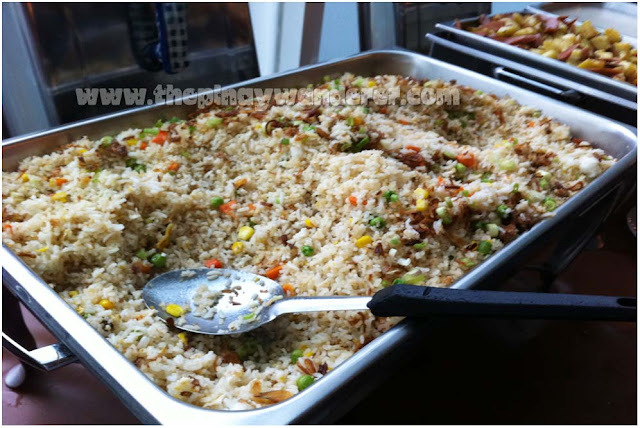 But friedrice the never fail to tickle my taste buds. Di ko mapigil di magcomment sa tweetbird.. hehe, cute. Napansin ko lang pag Muslim usually spicy and curried ang food nila no? Bakit kaya? Sinabi mo pa, ang anghang! Hmmm, na-curious tuloy ako dahil sa tanong mo, pag may nakilala ko muslim, tanong ko nga yan..hehe! ok yung view from the hotel ah..mukang masarap yung food kaso hindi ako mahilig sa spicy hehe..yung mga friends ko nag-side trip sa malaysia hindi daw nila gusto yung mga food hehe..basta ako ang gusto ko mapuntahan sa malaysia eh yung genting highlands..have you been there? Ngek! Buffet na ba sa kanila yan? Ang konti naman! Gusto ko yung umaapaw sa dami ng food. hehehe!